Tradewind Tiaras: Fairy Party: Part 2, Details! Many, Many Details! Fairy Party: Part 2, Details! Many, Many Details! 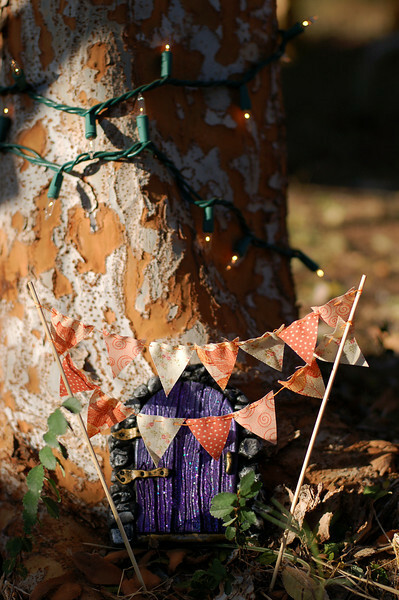 Looking for Part 2 of the Cornish Fairy party post? It's moved to its new home at Tikkido.com! the mushrooms were so simple! I cut Styrofoam balls in half, cut circles of fabric, and attached it to the Styrofoam with small straight pins. I cut lengths of dowel at 45 degree angles, pounded them into the ground, and speared the mushroom tops on the wooden stems. Beautiful! How did you get the punch to sparkle like that!?! We've moved the blog over to Tikkido.com, so join us over there for all the fun new content!